The PST5 Line of cymbals has been around for quite some time now. I got my first one back in 2009, and instantly loved how great it sounded for how inexpensive it was. That one was the, now discontinued, PST5 19″ Rock Crash. I still have this cymbal today, and now that it is nearly 10 years old it almost sounds better than it ever did. 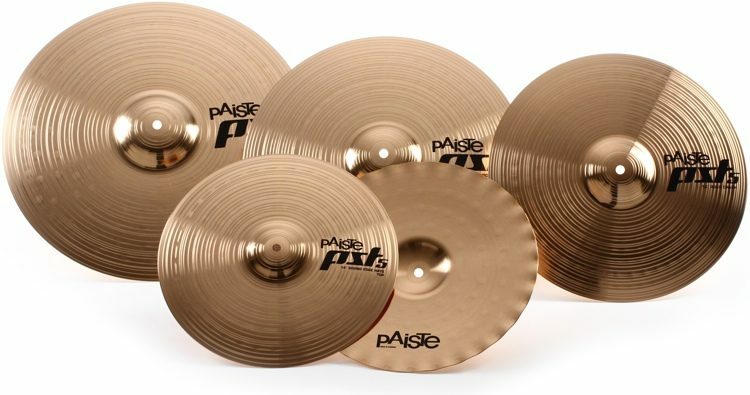 PST5s are not supposed to be Paiste’s high end cymbals, in fact there’s several lines that are more expensive and higher up on their virtual shelf such as the PST7s, and PST8s, then the 900 series and all of their ‘pro’ line cymbals on top of that. However, in my opinion they are some of the nicest sounding cymbals made. Sound crazy? I don’t care. I’ve owned several of the PST5 line, and have liked them just as much, or far better than other supposedly ‘pro’ cymbals. For example, I had a set of PST5 Medium Hi Hats, then got rid of them for a pair of signature hats, and ended up being pretty disappointed and wished I’d kept the PST5s. They have very distinct musical pitches, and blend in incredibly well in recorded music. They also stand out in a live setting. I really love the crashes and Hi Hats. I also had a 22″ Rock Ride at one point (also discontinued now in this size) and it sounded amazing for what it was. So if you’re on the lookout for some amazing cymbals that won’t break the bank, I highly recommend Paiste’s PST5 Line. My next cymbal purchase will most likely be the PST5 Sound Edge hats. This entry was posted in drums and tagged paiste cymbals, paiste cymbals 602, paiste cymbals facebook, paiste cymbals for sale, paiste cymbals high hat, paiste cymbals history, paiste cymbals logo, paiste cymbals review, paiste cymbals wiki on April 10, 2019 by DemonicSweaters.